Established in 1991 CTF is the UK’s longest standing truly independent tapered insulation design and supply company. Partnering with some of the leading insulation and membrane manufacturers we are uniquely placed to deal with our clients’ flat roofing requirements. 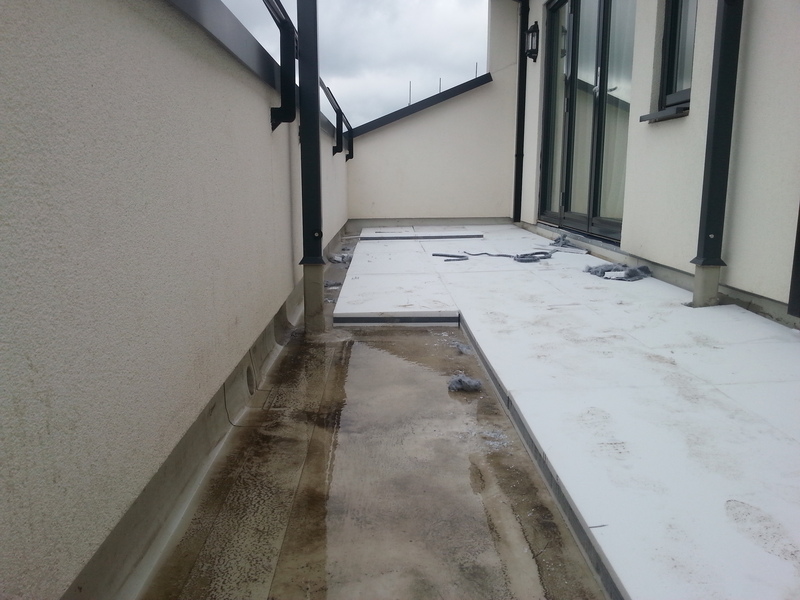 With our extensive knowledge and advanced insulation systems we offer the best flat roof insulation solutions. Repeat business and strong relationships with our clients is the direct result of our industry leading levels of service. A luxury property development with a small terrace balcony. Due to design constraints restricted door threshold height. During the course of a reroofing programme of a school with CTF tapered insulation design, we were advised of a requirement to upgrade and insulate north light type windows. 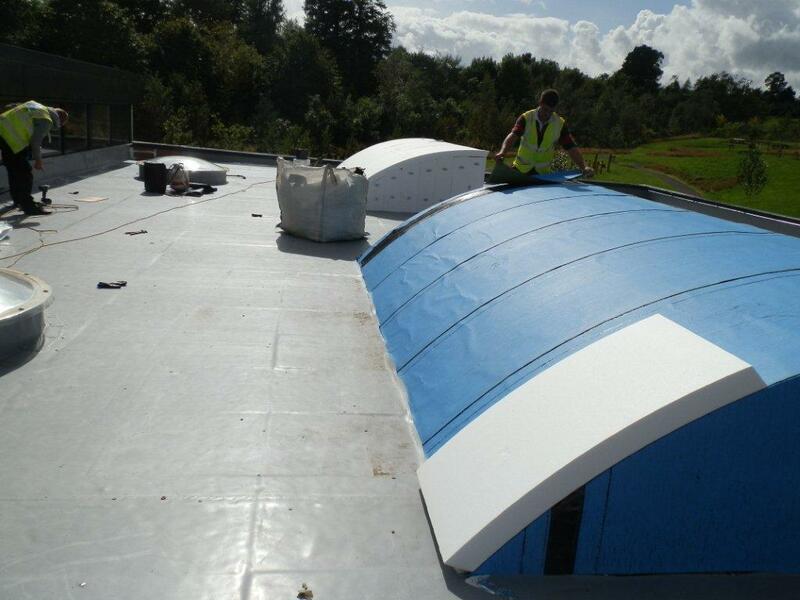 Having established the roof curvature, bespoke curved boards were supplied, fully bonded and covered with a waterproofing membrane. CTF on-site assistance with setting out complicated tapered insulation systems. In this example the corner is at an acute angle. CTF assisted in setting out the tapered design in accordance with their design drawing, superimposing the board joints on to the roof, allowing the roofing contractor to cut on site the insulation board accurately. Working from architects drawings we produce scheme plans and calculate the required U value, when needed we visit site to check actual ‘as built’ dimensions to ensure accuracy. As we are totally independent we can advise on and select the most appropriate insulation system for your project. Once the scheme is designed we issue PDF drawings of the proposed scheme, U value calculations and quotation. Working from details taken during a site survey we produce scheme plans and calculate the required U value, highlighting any issues with the existing roof. We can work to your survey information or we can carry out a full site survey including levels, this means we can ensure than the new scheme will drain the roof effectively. This also allows us to completely change the direction of drainage through the use of an ‘upside down’ scheme to level the roof, then an overlay scheme to achieve the new direction of falls. At the same time as improving the drainage we can increase the thermal performance of the roof to current regulations or beyond. 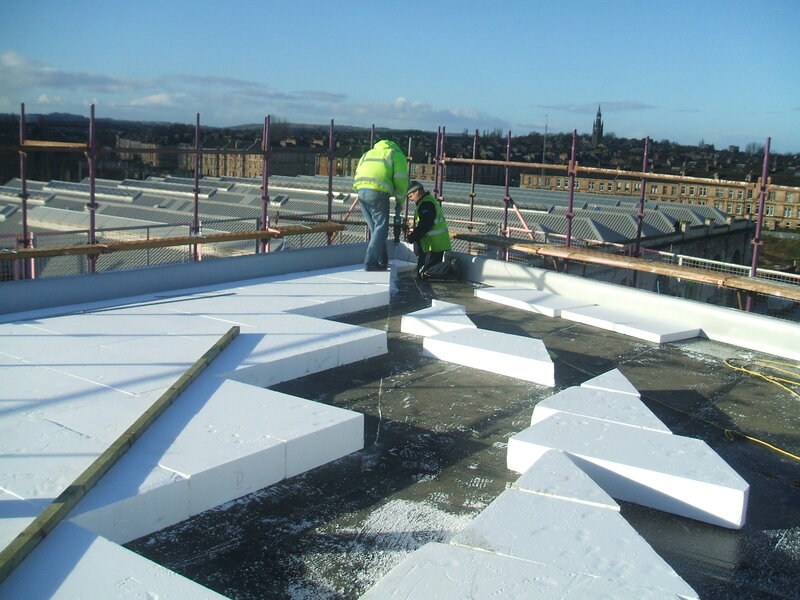 With our extensive knowledge and advanced insulation systems we offer the best flat roof insulation solutions. Contact us today to discuss your project.